To visit the Trades House of Glasgow, please click on the button below. Trades Halls with small pavilion roofs to left and right, prior to the extensions of 1837. The bottom floor consisted of six shops whose rent helped with the upkeep of the Halls. It may be of interest to note that there are two distinct parts to our ancient organisation. The Trades House is the oldest and its history goes back to the letter of Guildry in 1604. The Trades House can be viewed as the people who make up the organisation. The Trades Halls, on the other hand is the building which is the home of the Trades House. Three architects were asked to submit plans for the construction of the Trades Halls. They were John Craig who received £31 10shillings; James Jaffray who also received £31 10shillings and Robert Adam who received 50 guineas. Robert Adam had a greater name as an architect hence he received 50 guineas as opposed to the other's who received 30 guineas. 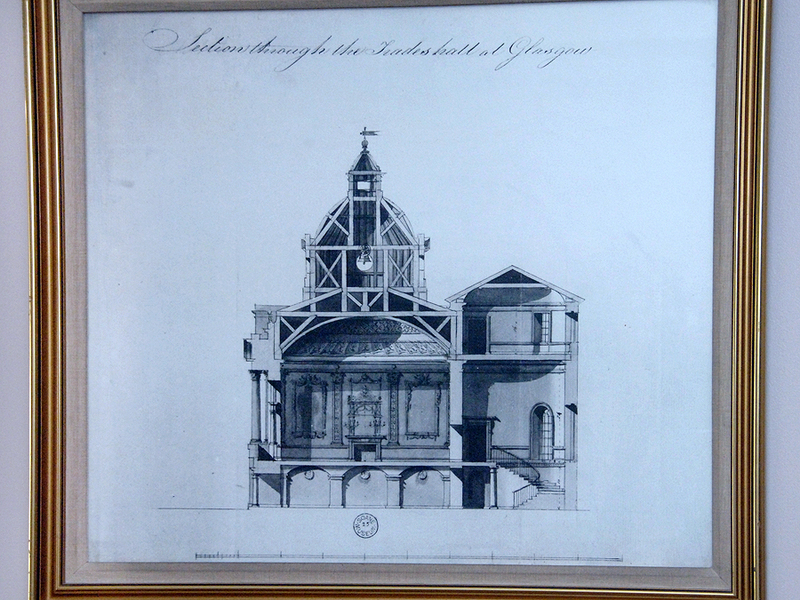 Section through the Trades Halls from Robert Adam's original plans. 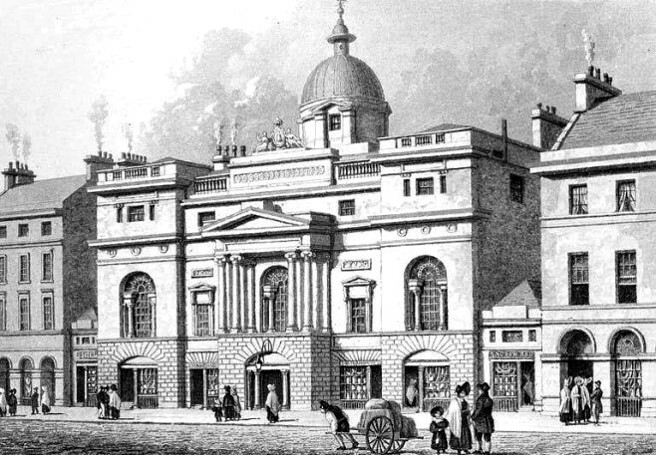 The building construction started in 1791 and was completed in 1794. The architect was Robert Adam and the building is the second oldest still used for its original purpose in Glasgow, the oldest is Glasgow Cathedral. Sadly, Robert Adam died in 1792, before the Trades Halls were completed and it was his younger brothers, James and William Adam that saw the building finished. By clicking on the image above you will be able to see what Adam's plan for the building was. It is likely that his brothers altered the design after Robert Adam died in 1792. For a history of the Trades House and the Trades Halls please download the following file, History. Tours of the Trades Halls can be organised by contacting the Trades House.